Long stay dogs Rocket and Violet were struggling with life at the shelter. Thanks to volunteers and fosters, they were placed in foster homes until they are adopted and they're both thriving. This coming February, Austin will celebrate its five-year anniversary of being America's largest no kill city, saving more than 90 percent of its homeless animals since 2011. With more than 18,000 animals entering the shelter each year, the whole community works together to make Austin the best and safest city in the U.S. for dogs, cats and other animals. Because of an incredible network of partnerships and tireless community support and advocacy, Austin is showing the world that when people come together to save lives, we can do just about anything. At Austin Animal Center, we're on track to end the year with greater than 95 percent of the animals who entered our shelter this year leaving alive, headed to their new forever homes, to foster homes or to one of our 140 rescue partners. Want to help animals in your city or town? Read ahead to find out how you can use the lessons we've learned in Austin to reduce euthanasia and to increase lifesaving in your own community. Almost every idea and program in this article was thought up and implemented by regular people -- animal welfare workers, volunteers and community advocates -- who all had one goal in mind: making their city a safer, more humane place for people and animals. 1. Austin Pets Alive! began rescuing animals in 2008 with a mission to bring Austin to No Kill. They worked to help the city shelter's most at-risk animals and to increase the shelter's live release rate. With innovative programs targeting puppies with parvovirus, unweaned kittens, cats with ringworm and dogs and cats with behavioral challenges, they have saved more than 30,000 animals. A barn cat program, FeLV sanctuary and the Positive Alternatives to Shelter Surrender (PASS) program are just a few of the ways Austin Pets Alive helps save pets and reduces intake into the municipal shelter. In 2014 alone, Austin Pets Alive took nearly 4,000 cats and dogs with special medical or behavior needs. That's about 22 percent of the shelter's overall annual intake! This puppy was suffering from a non-contagious form of mange and needed round-the-clock care. Austin Pets Alive! came immediately to take her to a loving foster home to get treatment and TLC. 2. Transparency and Accountability: Starting in 2005, a group called FixAustin began advocating for Austin's homeless animals. At this time, the city was euthanizing 55 percent of animals that came into the shelter. In 2010, with the support of the Austin Animal Advisory Commission, the Austin City Council unanimously passed a No Kill Implementation Plan, requiring, among other things, the Austin Animal Center to maintain a greater-than-90 percent live outcome goal. The plan outlined the programs and policies that would be necessary to accomplish this goal, including foster and volunteer programs, rescue partnerships and spay and neuter programs. It also mandated policies related to euthanasia, including an end to space killing when empty cages were available and a 24-hour euthanasia hold list. Finally, the plan called for an increase in funding to the shelter to help support lifesaving services and programs. The plan called for full transparency and public reporting. All animal intakes and outcomes are listed by year and detailed monthly reports are available online and by visiting the data portal, anyone can see animals as they enter the shelter. The 34 point plan establishes rules and guidelines for the shelter to follow and outlines the resources necessary to accomplish the goal of saving more than 90 percent of Austin's animals. 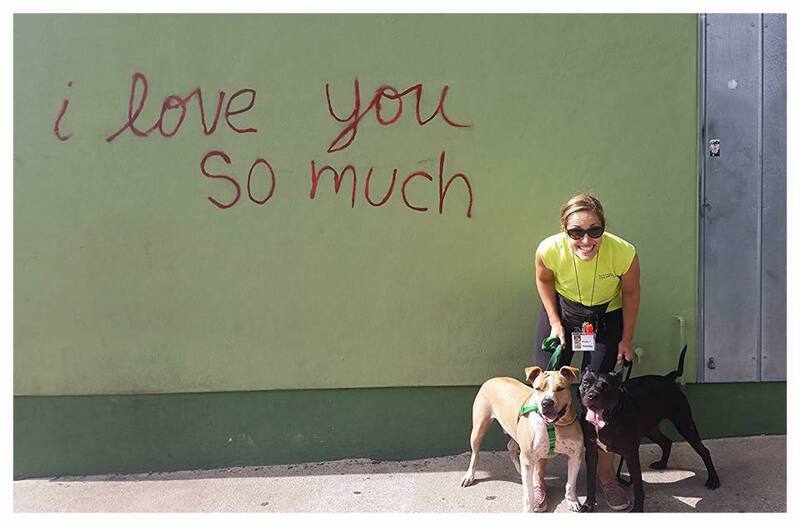 In 2014, the city completed an audit of animal services which showed that as Austin is growing, the shelter needs additional space and resources to continue to succeed as America's largest no kill city. That's no surprise, considering about 150 people are moving to Austin every day. The city, continuing to support Austin's no kill mission, is expanding the shelter and has allocated more staff positions to provide superior care for sheltered pets. 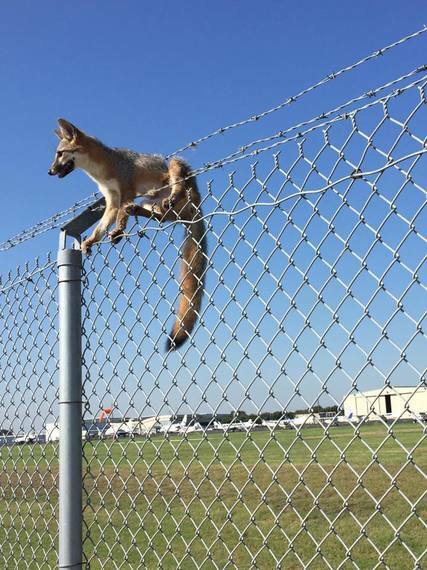 As Austin continues it exponential growth, it is likely animal services will need to continue to grow as well to rescue and care for companion animals as well as wildlife. This owl got caught in a fisherman's lure and had to be rescued by animal protection officers. As more people move into Austin, it is likely that conflicts between people and wildlife will increase. 3. Animal Protection and Outreach: With fewer than 20 officers to cover 900 square miles of Austin and Travis County, Animal Protection officers have to be creative and compassionate to help all of the area's stray, neglected and abused animals. All officers carry microchip scanners and return as many animals home as they can. This prevents pets from being impounded and gets them home as quickly and easily as possible. They also help build and repair fences to keep pets in their yards and they work closely with the shelter's outreach team to provide free vaccine and microchip clinics for owned pets in our community. A special animal cruelty unit investigates and prosecutes animal abuse and neglect, ensuring the city's abused animals are protected. Animal protection officers serve wildlife and exotic animals as well. This fox was stuck in a barbed wire fence. 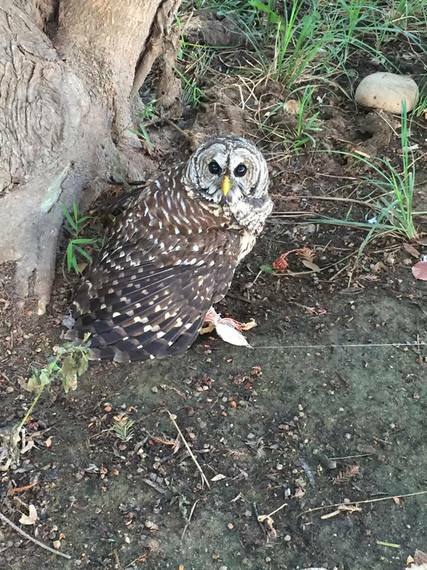 He was rescued by animal protection and taken to a wildlife rehabilitator, to recover and eventually be released. 4. Spay and Neuter Services: Emancipet offers low cost spay and neuter services and vaccines for owned animals. Last year, Emancipet performed over 20,000 surgeries in its Austin and Travis County, with more than 7,000 of those surgeries being provided free of charge through funding from the City of Austin. 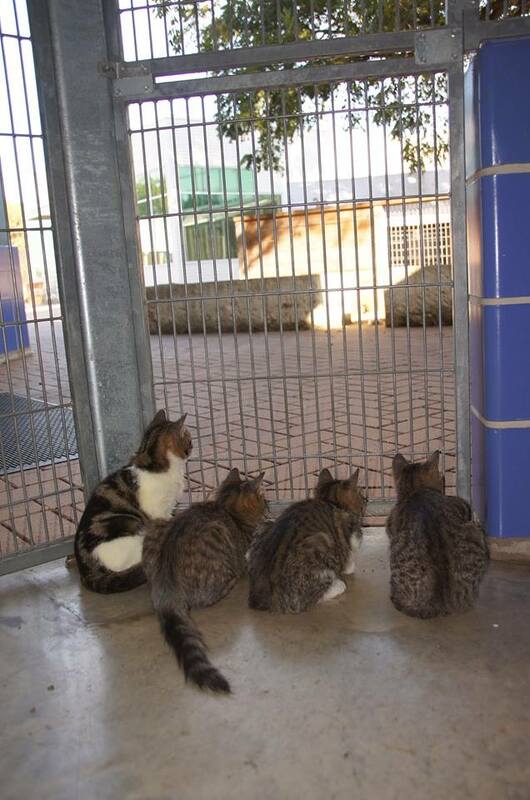 For the city's community cats, we support the Austin Humane Society who runs the city's TNR program. They provide sterilization and vaccinations to thousands of community cats each year. These two organizations are helping to reduce accidental litters in Austin which has a direct impact on the shelter. Since 2008, the shelter's intake has fallen from 23,000 animals per year to just 18,000. 5. Foster and rescue programs: Austin Animal Center can house more than 600 animals at any time, but without fosters and rescue partners, the shelter would quickly be in a space crisis. We rely on hundreds of fosters to house animals in need, including kittens, puppies and adult animals recovering from illness or injury. Fosters also provide much-needed shelter breaks for pets who can't handle the stress of the kennel environment. Becoming a foster is no harder than adopting a pet and fosters are empowered to find permanent homes for their foster pets. Each year, several hundred dogs and cats are adopted directly from foster homes. 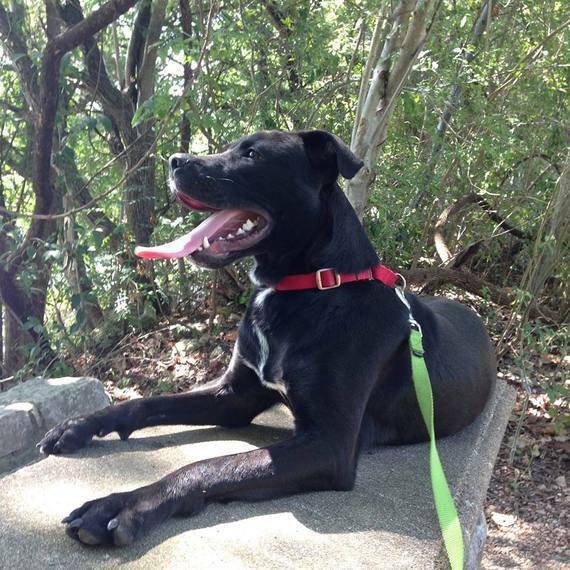 Rescue partners like Austin Pets Alive! and the Austin Humane Society offer immediate support whenever the shelter is at capacity, often taking dozens of pets in just one day. Specialty rescue groups like the House Rabbit Resource Network take all of the stray and surrendered small animals, which frees up the shelter to care for more cats and dogs. 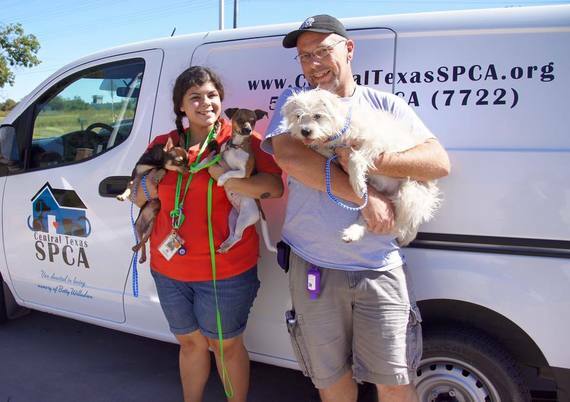 Last year alone, the Austin Animal Center placed 5,000 animals with rescue partners! 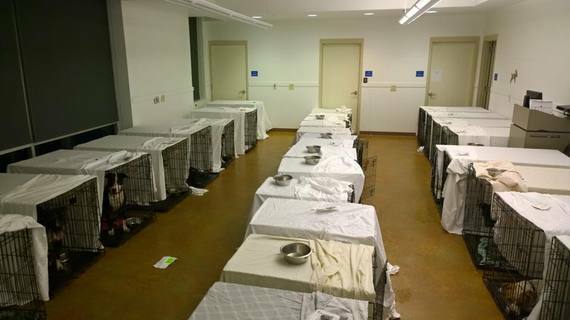 When the shelter became overcrowded due to the city flooding, we asked for temporary, emergency fosters. Within just a day, every one of the 42 dogs in temporary crates was sent to a loving foster home and the space crisis was averted. Our rescue partners always seem to show up just when we need them most. Here are representatives from the Central Texas SPCA helping us make room for incoming stray dogs. 6. Volunteers: Providing support in virtually every aspect of shelter operations, volunteers are critical to making sure animals receive love, exercise and attention while they're waiting for homes and helping adopters find the right pet for their family. Several hundred shelter volunteers do everything from walking dogs to caring for sick kittens. Members of the public don't have to be official volunteers to help us walk the more than 300 dogs in our care and we often reach out to the public when we need extra help. Last year, volunteers contributed a whopping 35,000 hours of service to the shelter! In addition, the volunteer group Friends of Austin Animal Center raised funds and provides support to senior pets as well as special needs cats and dogs. 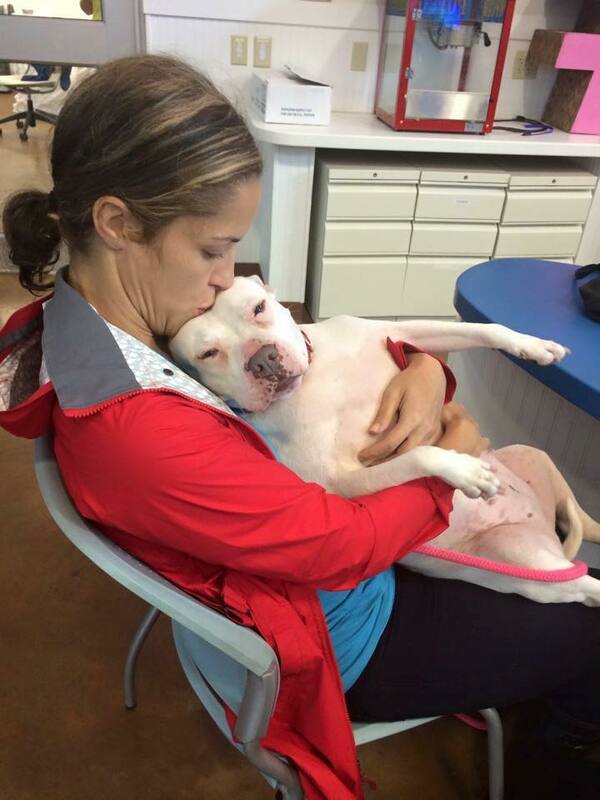 A volunteer spends quiet time with available senior dog, Pixie. 7. Social media and marketing. With about a million people seeing our posts on Facebook, Twitter and Instagram each week, we cannot underestimate the importance of social media for drawing in adopters, foster families, volunteers and people looking for ways to help. 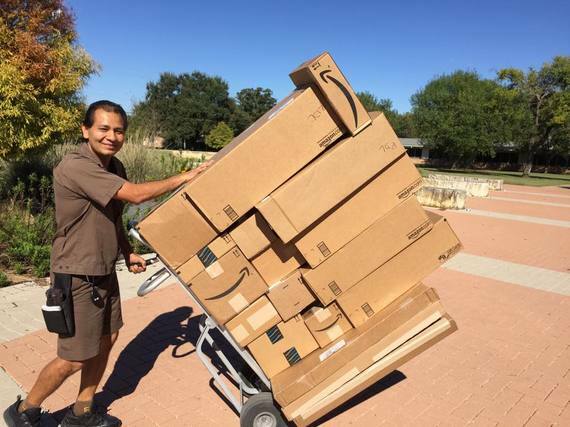 During recent floods in Central Texas, we asked the community to donate bones, toys and other items through our Amazon Wish List. Within three days, we had received hundreds of boxes from people all over the county and even in other parts of the world! Social media is our biggest connection to our community, but we also appear regularly on the local news, sharing stories about adoptable animals and helping increase awareness about pet adoption in Austin. These two best friends were surrendered when their owner lost her home. We snapped this photo and posted it to Facebook. They became instant celebrities and we found them a foster home together! Even the UPS guy was blown away by the number of donated gifts we received. This is just a fraction of the toys, treats, kitten formula and other items that came to our doorstep! 8. Compassionate cat policies: We work with rescue partners and volunteers to place special needs cats. Community cats are altered and returned rather than being impounded into the shelter. For cats and kittens in the shelter, 10 separate housing units allow the shelter to isolate sick cats, as well as underage kittens and hard-to-handle adult cats. Volunteers and staff provide daily enrichment and care for cats, and a special team of volunteers cares for sick and injured cats and kittens. The shelter has numerous 'catios,' where small groups of cats can live together and choose to be indoors or on a covered patio. This relieves stress on the cats and lets adopters see the cats in a more real-life environment. 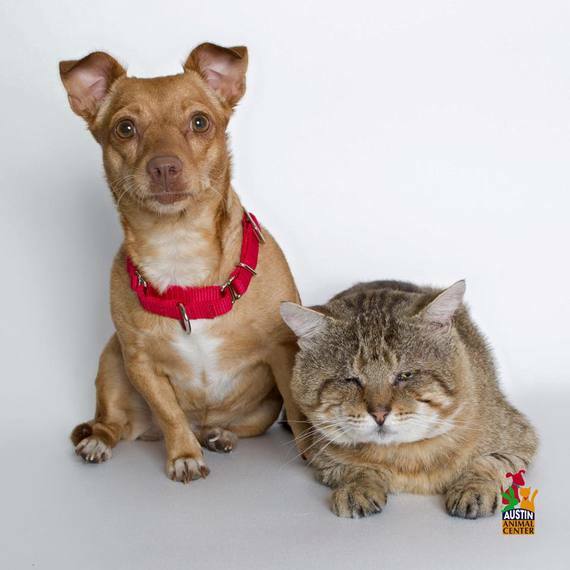 For harder-to-adopt pets, the Desperate Housecats group provides additional support. Dolly lost a leg after she was hit by a car, but she doesn't seem to know there's anything wrong with her. 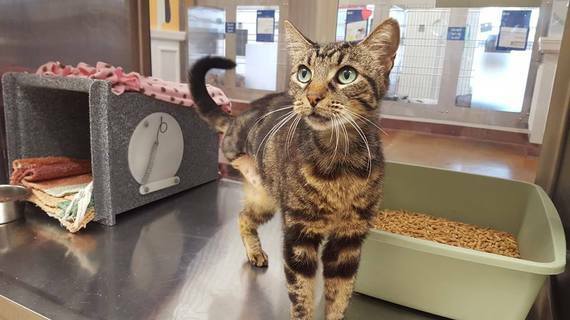 She's pictured here, waiting patiently for her new family. These kittens are hanging out on their 'catio,' in the late afternoon, watching the sparrows in the tree. These enclosed, outdoor areas keep our cats and kittens busy while they wait for new homes. 9. All dogs are equal: In Austin, all dogs are treated as individuals, regardless of perceived breed or type, size, age or health. Dogs who display common behavioral challenges in the shelter are given special attention by staff and volunteers and groups like the Hard Luck Hounds and Dogs Out Loud provide behavioral support, foster homes and advocacy for medium and large shelter dogs. Because there are no time limits for adoption, many dogs are sheltered for several months to find their new homes, so play groups, in kennel enrichment and regular exercise are keys to keeping dogs happy and healthy while they wait. Dogs who have behavioral challenges beyond what the shelter can accommodate are often transferred to Austin Pets Alive!, where they receive daily behavioral support. Recognizing that the shelter is a highly stressful environment and many of the dogs are traumatized when they come in, the shelter does not use standardized behavioral assessments to make life and death decisions. Instead, we consider the dog's history and behavior in the shelter and in more real life situations like play groups to help us find the best placement option. 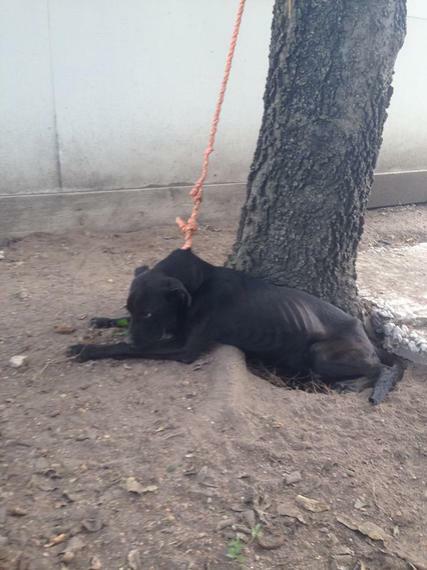 Johnny was found by an animal protection officer, emaciated and tied so tightly he could not lay down. He was rescued and brought to AAC. Just a month after his rescue, Johnny is much better and is learning all the important things he missed as a puppy, like how to walk on a leash and live indoors. He's available for adoption! 10. 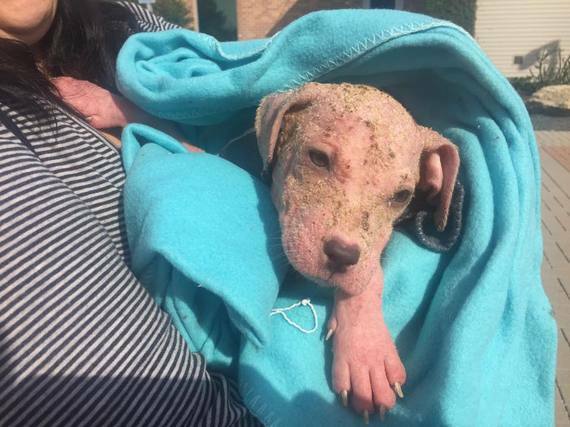 Treating medical conditions: In addition to treating ringworm, mange, upper respiratory infections and other common ailments, the Austin Animal Center does surgical repair, tumor removal and other lifesaving surgeries. The only animals euthanized for medical reasons are those who are irremediably suffering with a poor prognosis. All others are treated or transferred to Austin Pets Alive! or another rescue partner where they can receive care or live out their lives in a loving foster hospice home. For owned animals, the Animal Trustees of Austin provides safe, affordable treatment to animals, including heartworm treatment and dental cleanings. This helps keep more pets in their homes and out of the shelter. A group of volunteers called the Classic Canines advocate for and provide care for senior pets, particularly those with medical problems. Polar Bear was found severely injured, with a fractured shoulder and a bleeding wound. 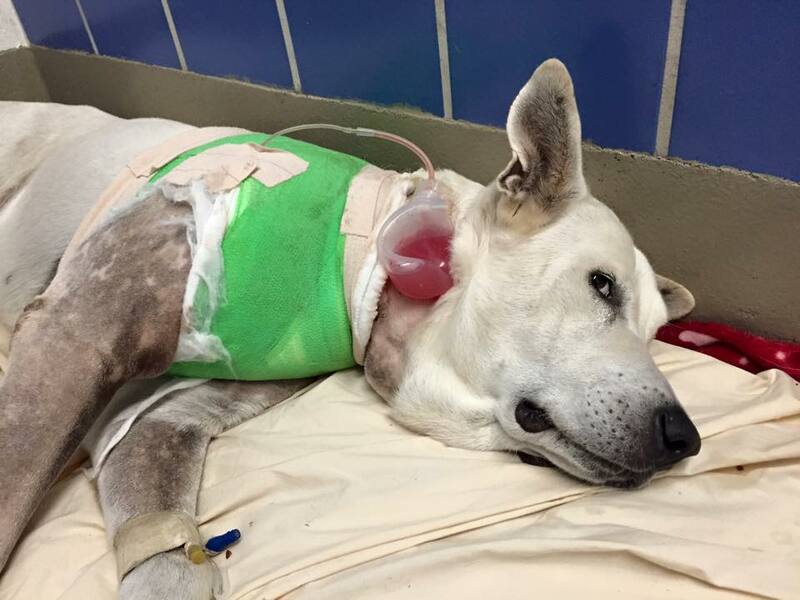 Thanks to the quick work of shelter veterinarians, Polar Bear received lifesaving surgery and is recovering. He will soon be available for adoption. As Austin prepares for its five-year no kill anniversary, we're celebrating our community's success and looking forward to the next five years, with the hope of taking the lessons we've learned to help other cities and towns save more lives.